How to Transfer Money Online Between Accounts at Bank of America Learn how to transfer money between bank accounts with this helpful video. In 3 steps, find out how to transfer money between accounts at Bank of America. Online Banking makes it easy for you to securely transfer money between your accounts–like from your savings to your checking account, for that special purchase or unexpected bill.Footnote1 You can also help increase your savings easily by setting up automatic transfers (weekly, biweekly, monthly and more) from your checking to your savings. 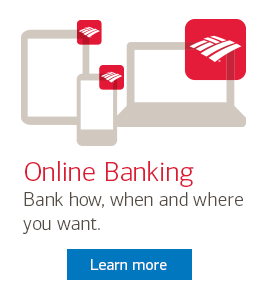 After you sign in to Online Banking, go to the Transfers tab and select Between my accounts at Bank of America. Fill in the fields: From and To (for example from your checking to your savings) as well as Amount and Frequency (for example, one time or recurring). Review your information and select Make Transfer. Your transfer will be confirmed right away! Federal regulations and the Deposit Agreement and Disclosures limit the number of certain types of withdrawals and transfers from a savings account. Please see the Personal Schedule of Fees for details. Apple, the Apple logo, iPhone, iPad, Mac and MacBookAir are trademarks of Apple Inc., registered in the U.S. and other countries. App Store is a service mark of Apple Inc. Please review the Personal Schedule of Fees also available at your local Banking Center.